Our lady of Altomare of resin, cm. 28, handmade in Italy. 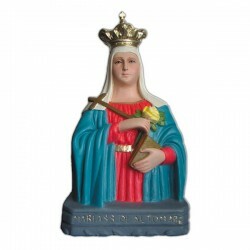 Our Lady of Altomare is venerated in Andria (Bari), where there is a shrine for her. 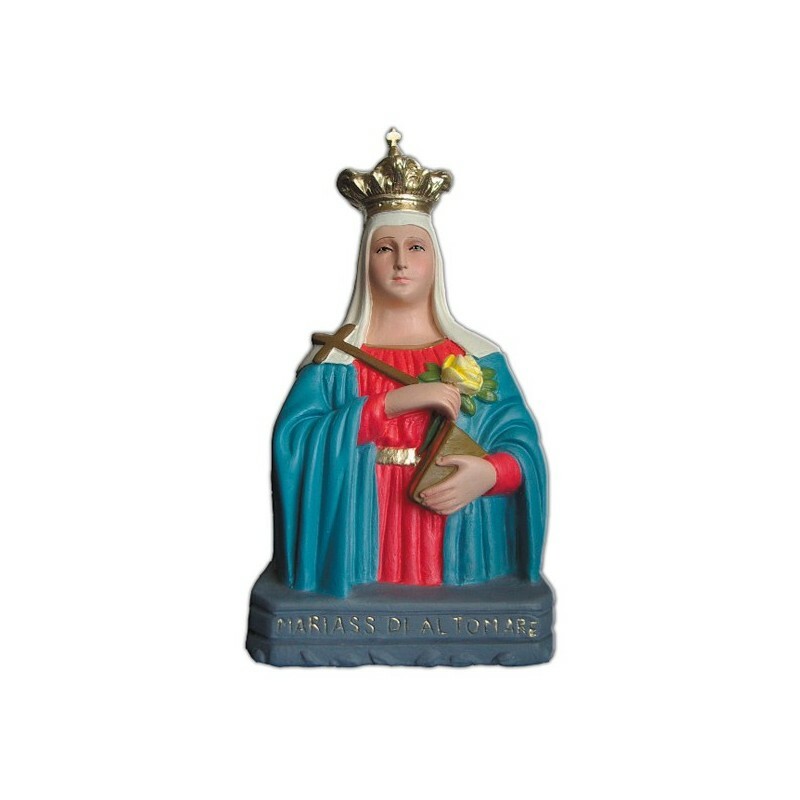 Her story derives from the end of the XVI century. Where it rises her Church, it is narrated that a baby fell in a tub and it was found only three days after. She was in health, perfectly dry and supported on the water’s level from a Virgin’s image. The baby told that the image fed her and it sustained her. The image became the Virgin of Altomare. The shrine was constantly restored and expanded and in 1898, on the occasion of the 3rd centenary of its recovery, the people asked the coronation of the Virgin and later, they added a rose, a cross and a book.